Microbiological tests of bottled water shows that standards have improved in the past number of years – however, two per cent of samples are still classed as “unsafe”. THE SAFETY AND quality of bottled water in Ireland has significantly improved in the past number of years – however a small proportion of bottled water is still deemed unsafe, according a new Food Safety Authority of Ireland survey. The survey showed that two per cent of samples failed microbiological standards last year, in comparison to 7 per cent in 2007. However, researchers warn the industry is still in need of improvement as four of the 748 samples taken were marked as unsafe for human consumption due to the presence of E.coli and/or Enterococci, and subsequently removed from the market. The FSAI said that in all cases where non-compliance was noted manufacturers were required to take immediate corrective actions, and in the cases where safety was breached the manufacturers recalled the affected batches from the market and the FSAI issued alert notices on its website. 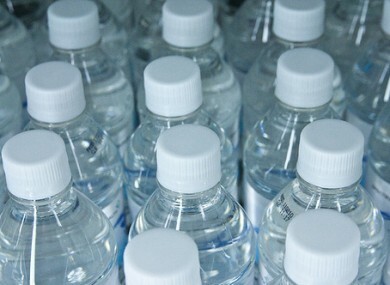 The samples were taken from a range of retail outlets and bottled water manufacturers throughout the country between September and December 2010. The FSAI informed hospitals regarding the water which contained P.aeruginosa, and also notified the European Commission rapid alert system in relation the batches that had been distributed to other countries. The survey also showed that improvement was required in relation to labelling standards, as 55 per cent of samples labelled as natural mineral water or spring water were not compliant with existing legislation. Certain bottled water requires the name of the spring, as well as the location at which the spring is exploited, to be printed on the label – but just 45 per cent of the 323 water samples labelled as natural mineral water carried both of these statements. Anderson commenting that labelling was clearly an area for improvement, saying: “Labelling must be compliant with all requirements in the legislation so that consumers are informed correctly about the nature of the product they are consuming”. Email “Bottled water 'safer' - but industry still needs improvement ”. Feedback on “Bottled water 'safer' - but industry still needs improvement ”.